We offer complete line from all the major leading manufactures such as Reed, Hughes Christensen, Smith, Security DBS, Varel International, JZ, TSK, DBI, Atlas Copco. 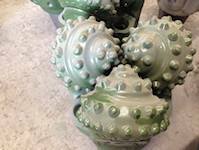 All new and unused at competitive prices. We offer sizes ranging from 3 7/8" to 12 1/4" TCI sealed journal bearings TCI drill bits. 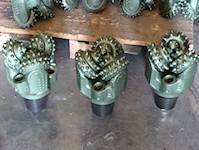 At Secorp Metals, we sell hundreds of rerun/reconditioned TCI drill bits. Each bit that we have is hand selected and inspected by our highly trained technicians, then put through a step by step rebuilding process. Just let us know the sizes and quantity that you are after and let us take care of the rest.